We are currently accepting applications for October 2016 conducting workshop with Maestro Paul Nadler. We have received many applications and our class has reached its full capacity at the moment. We are currently considering auditor applications only. As an auditor, you may observe all podium sessions and participate fully in all score studying sessions. You may also have some one-on-one contact with the workshop faculty as the schedule permits. Auditors enjoy the same privileges as the full-participants, except for conducting at the podium sessions. Auditing is an excellent way to study the scores and learn from the faculty and from your colleagues, without the pressure of actually conducting. You may apply for full-participant status. Once accepted, you will be placed in the current wait list. Should there be any openings, we will inform you accordingly. 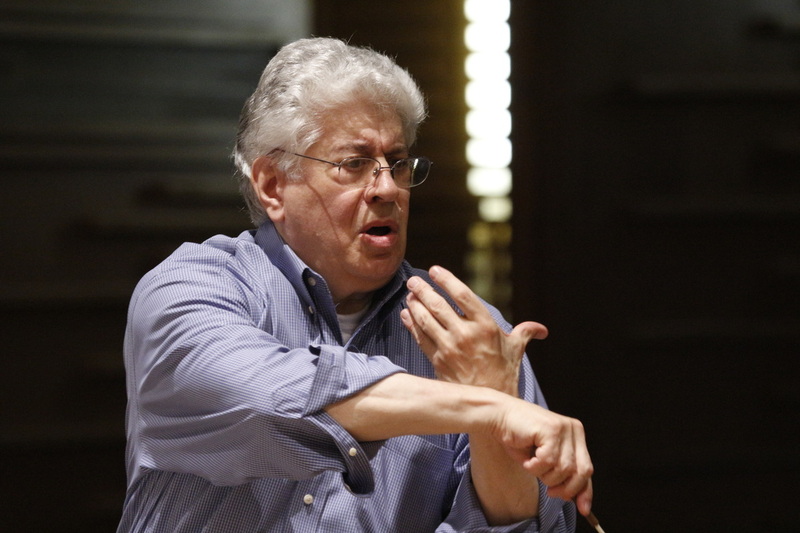 Maestro ﻿Paul Nadler﻿ has distinguished himself as an exciting and highly respected symphonic and operatic conductor. Since his Metropolitan Opera debut in 1989 he has led the company in more than 60 performances. Most recently at the Met Maestro Nadler conducted a new production of Franz Lehár’s The Merry Widow, starring Renée Fleming in the title role, as well as performances of Giuseppe Verdi’s Ernani. Recently he has conducted Johann Strauss’ Die Fledermaus, and Antonin Dvořák’s Rusalka at the Met, as well as a hugely successful series of Puccini’s Turandot at Opéra de Montréal. After concerts this spring with the Bucharest Philharmonic and Iasi Philharmonic Orchestras in Romania, followed by a double bill of Mascagni’s L’Amico Fritz and Zanetto at the Montréal Vocal Arts Festival, Maestro Nadler returns to the Jacobs School of Music for Gioacchino Rossini’s Il Barbiere di Siviglia and a series of four symphony concerts during the 2015-2016 season. In Season 2016/17, Paul Nadler will be opening the season in the Opéra de Montréal with Aida this September. In February, he will be conducting a concert in Indiana University Jacobs School of Music, and a world première of music composed by George Foca-Rodi in Romania in March.